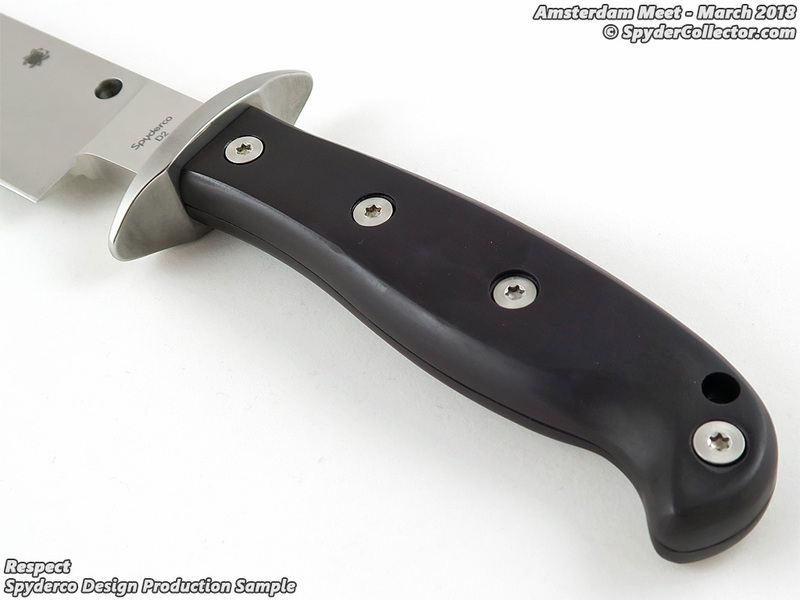 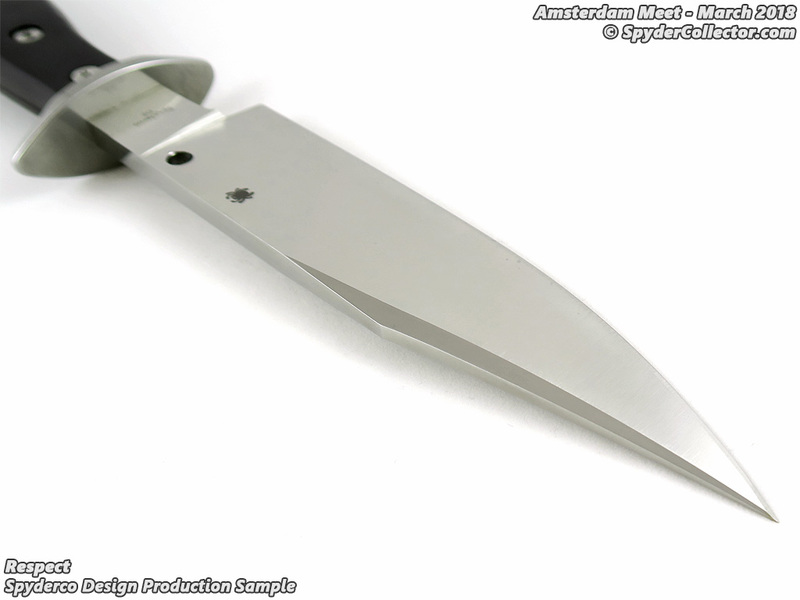 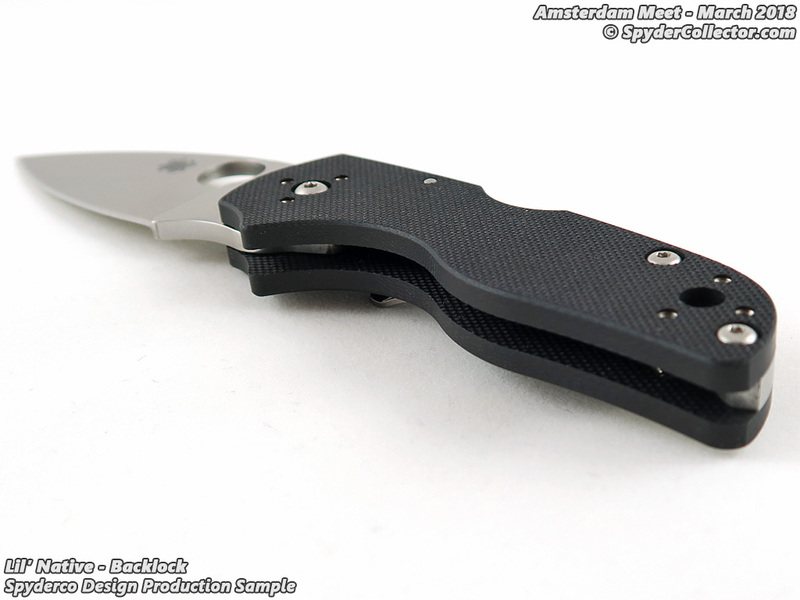 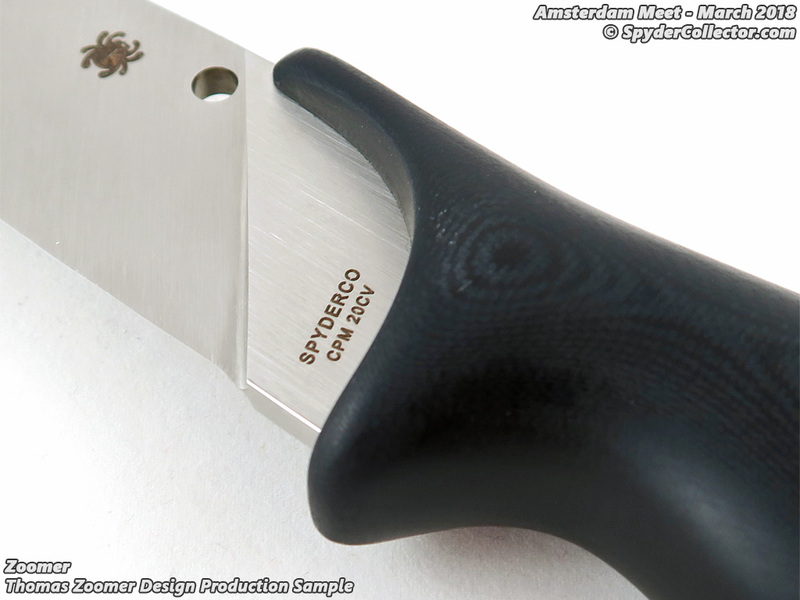 Time for the last new knife post in my Spyderco Amsterdam Meet Report 2018! 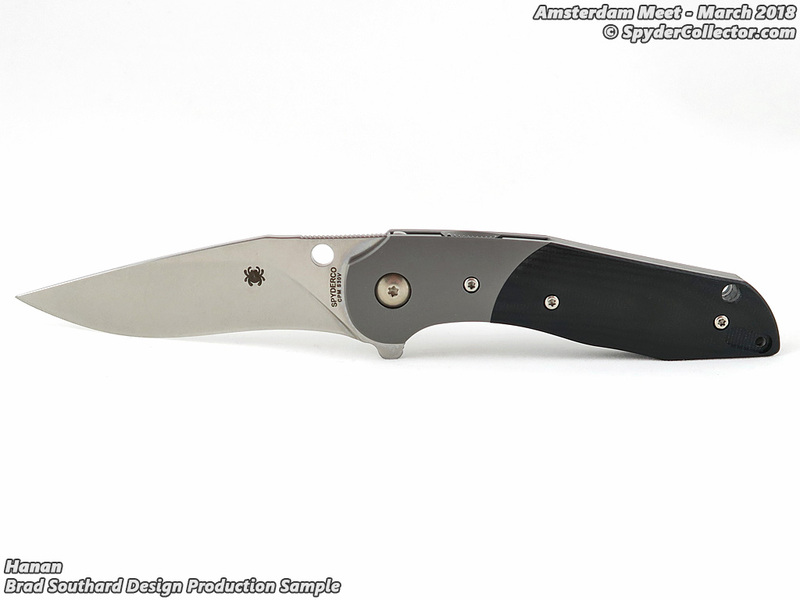 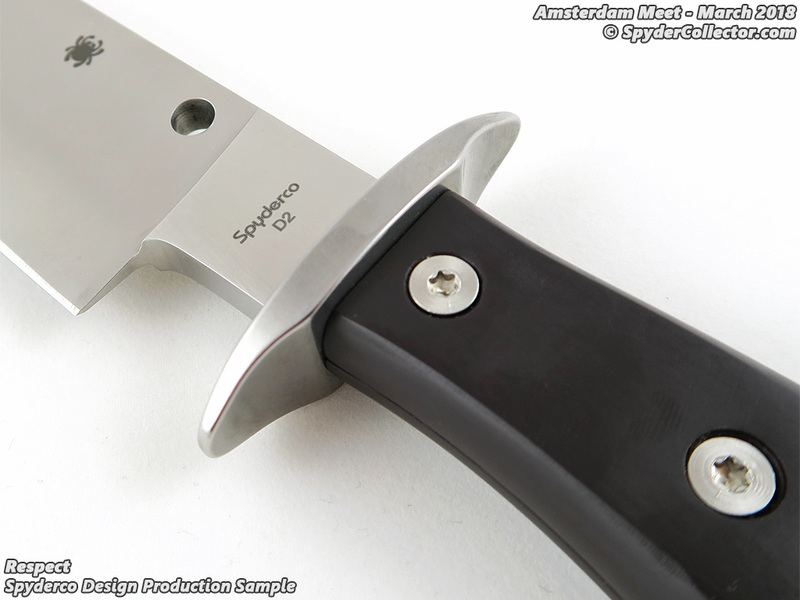 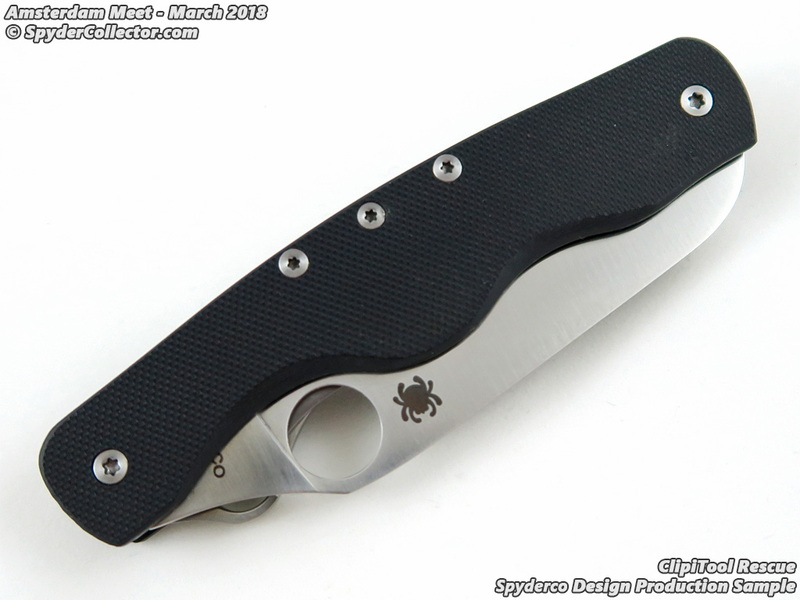 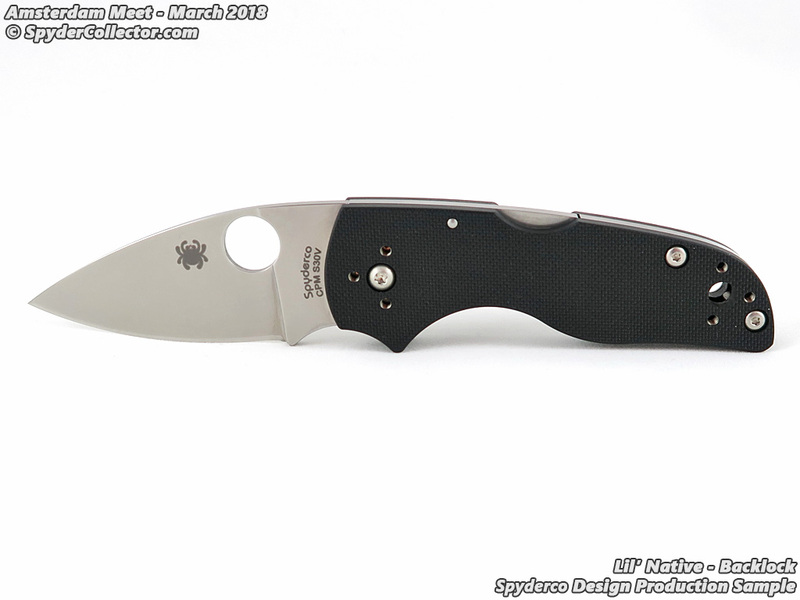 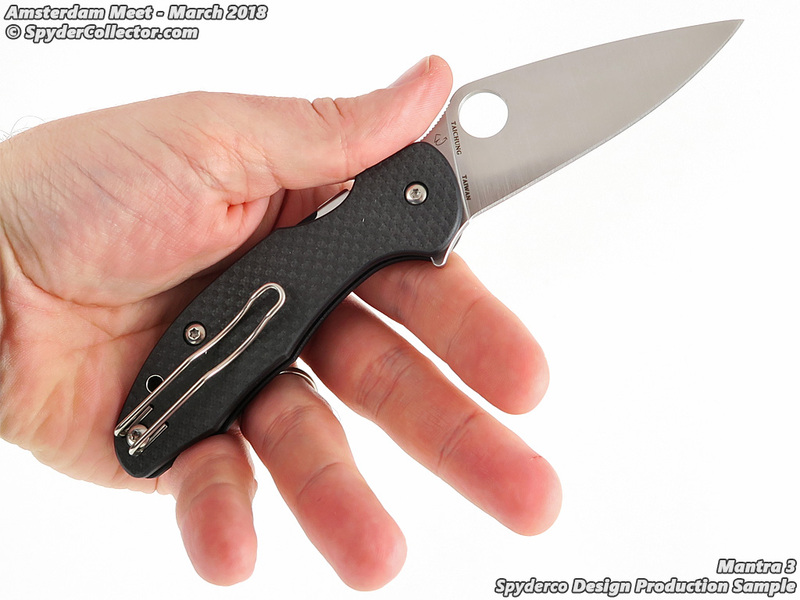 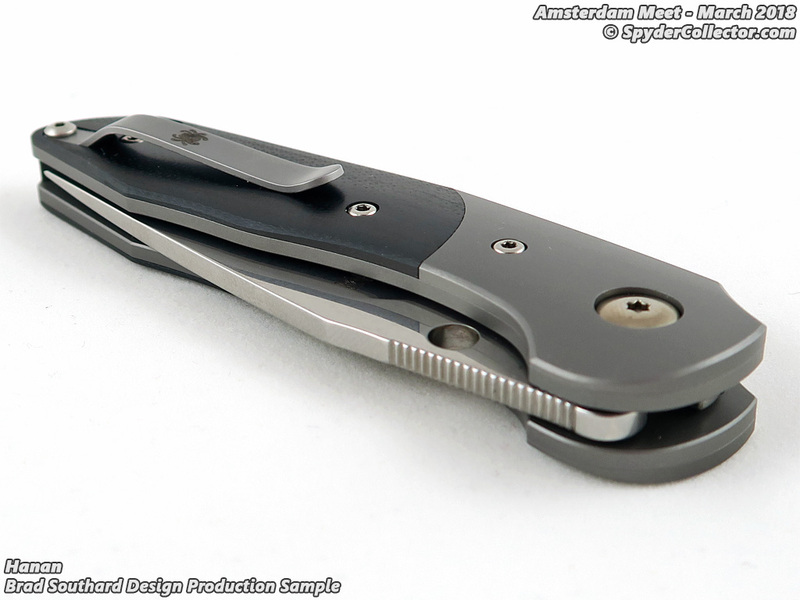 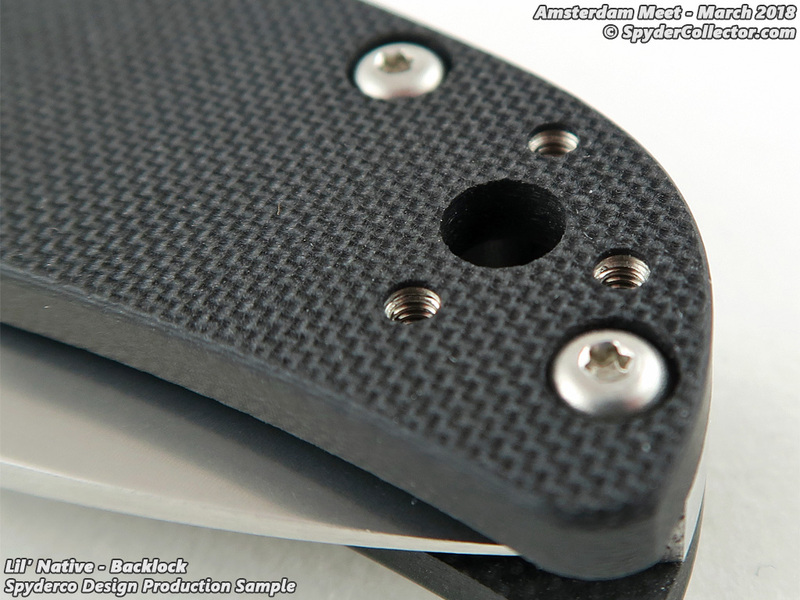 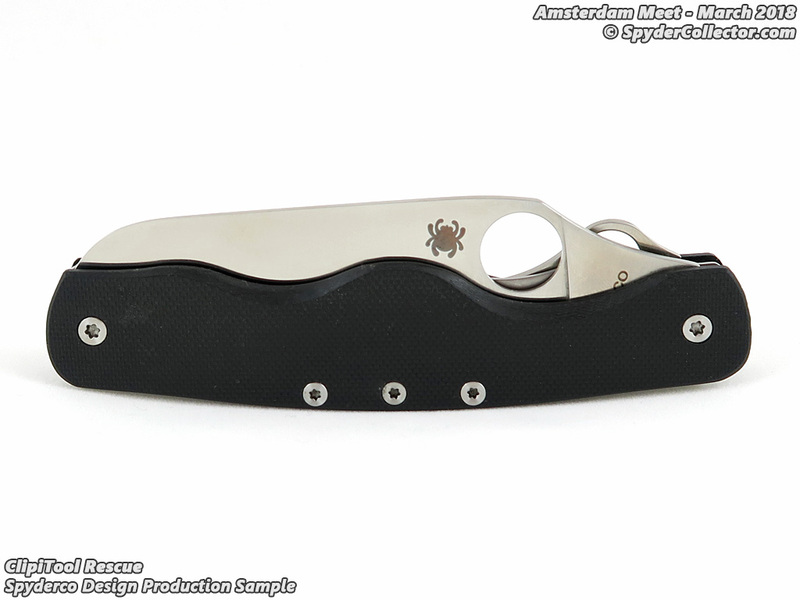 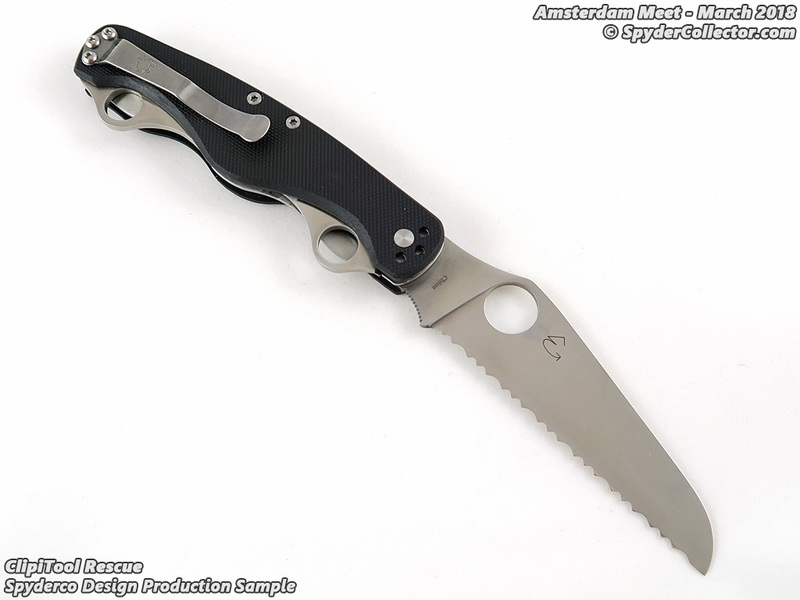 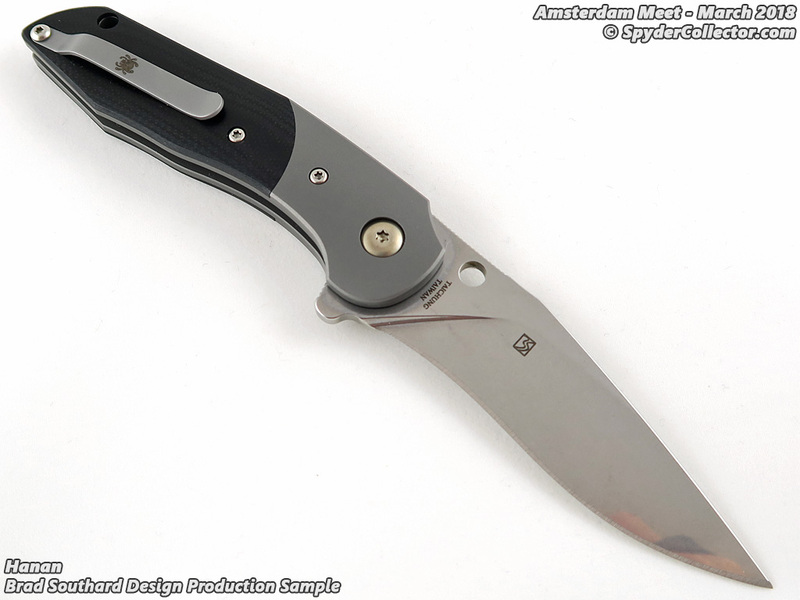 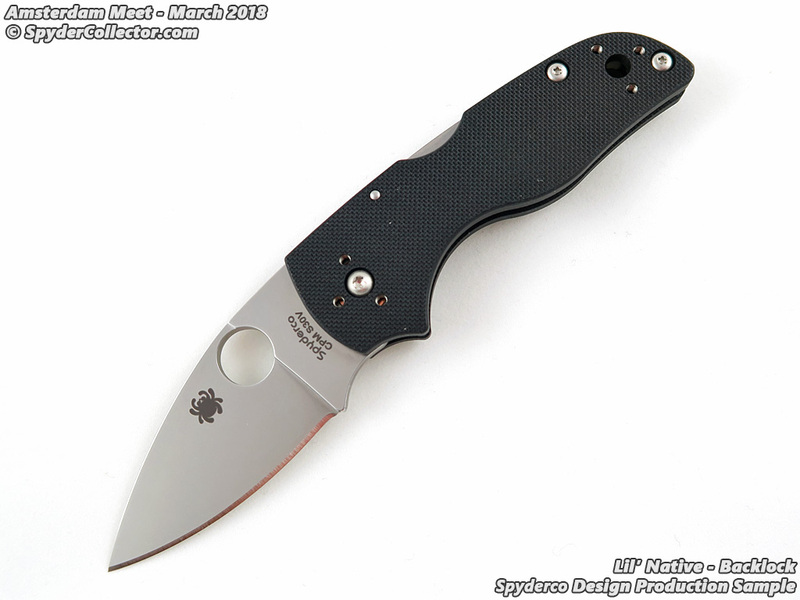 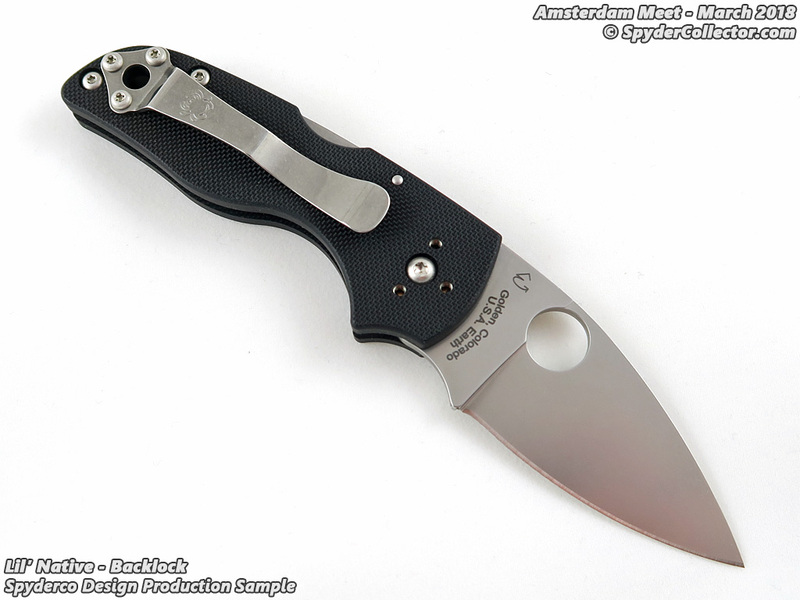 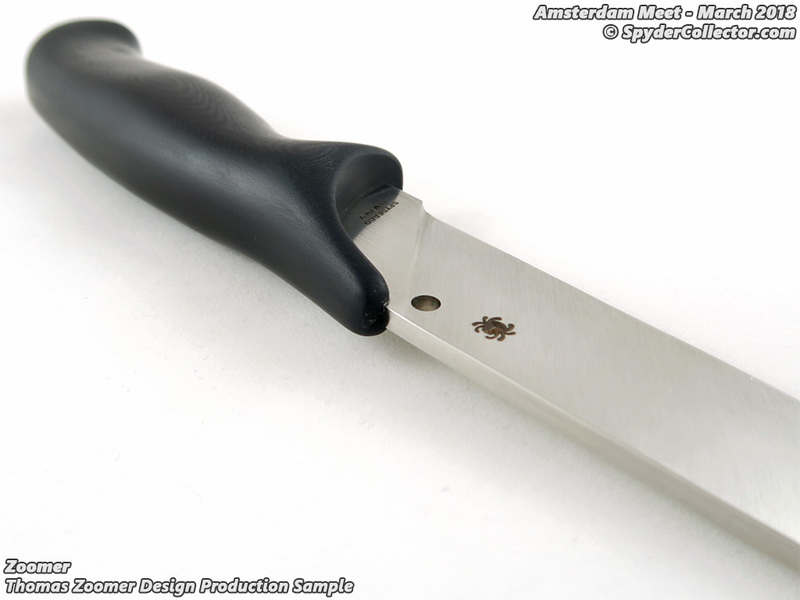 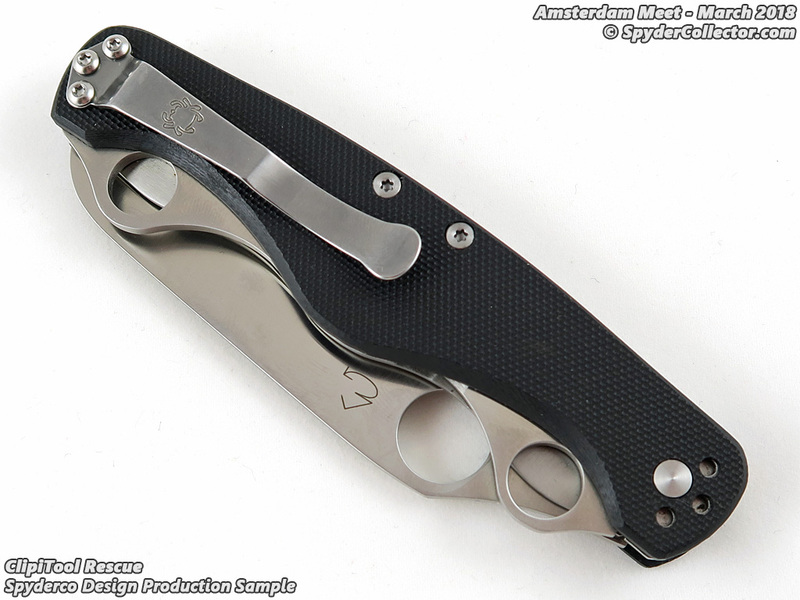 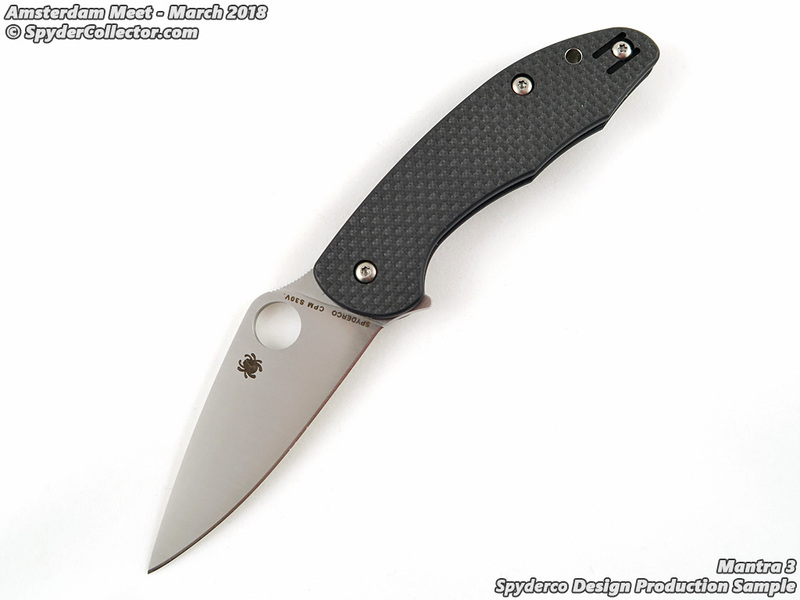 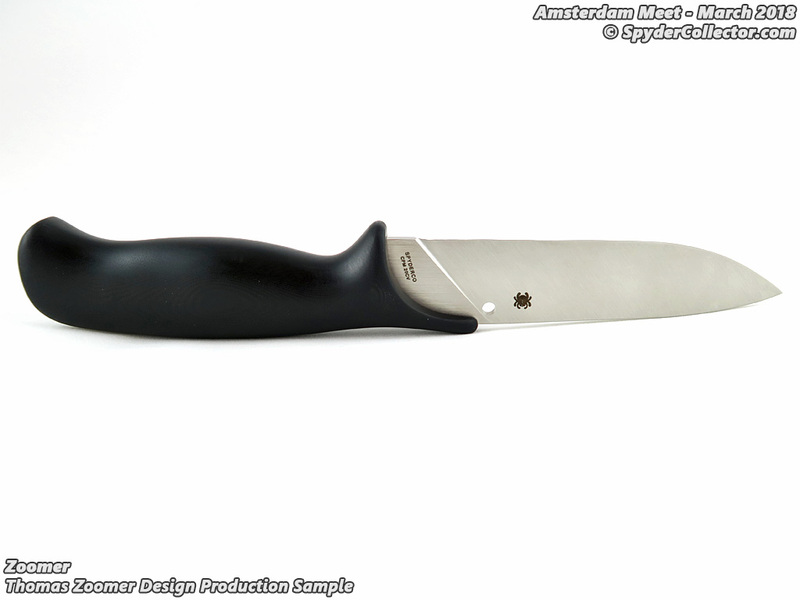 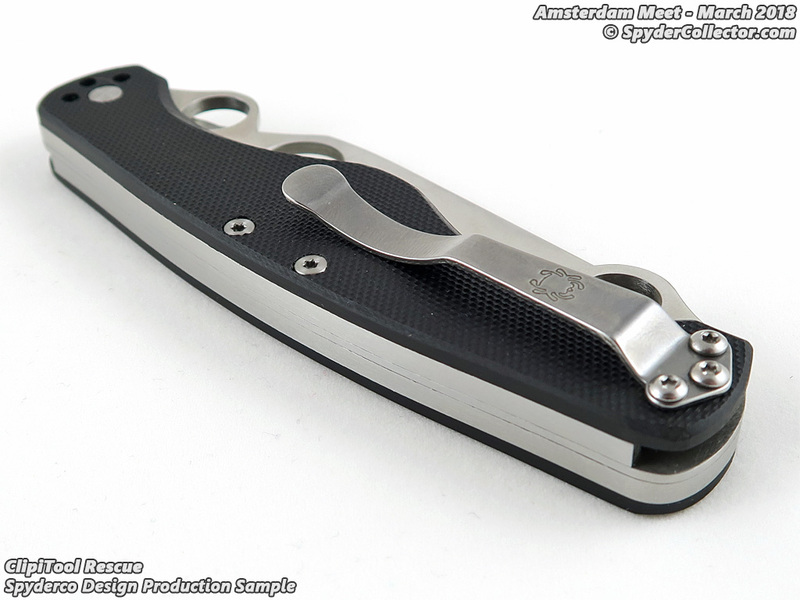 It’s always very cool to see the Spyderco Amsterdam Meets creating a little buzz for new Spyderco designs. 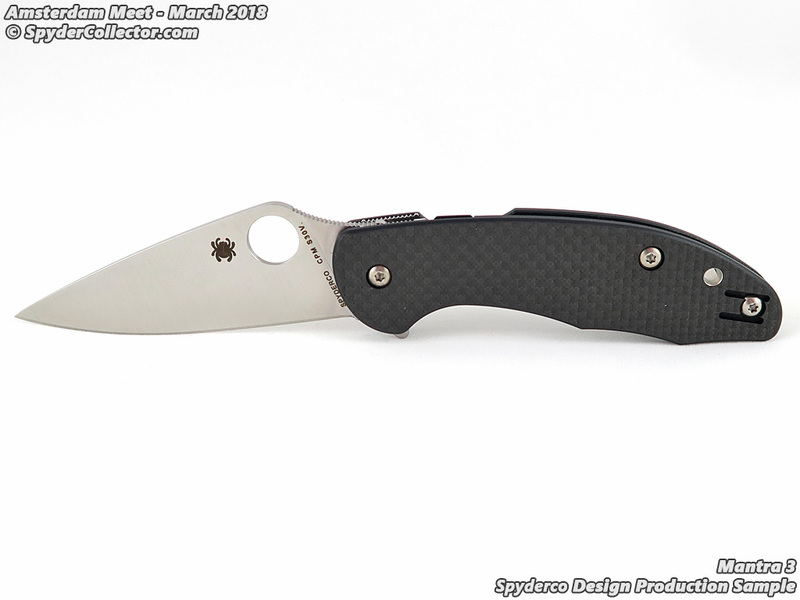 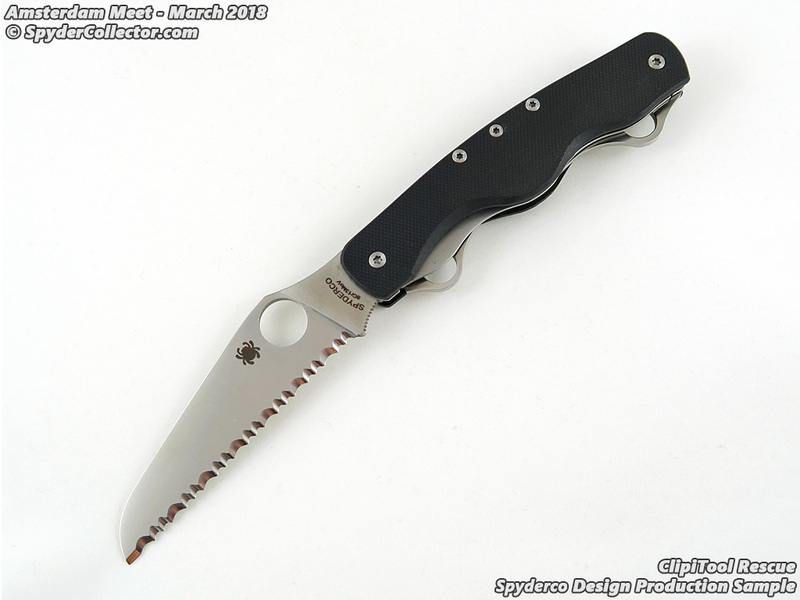 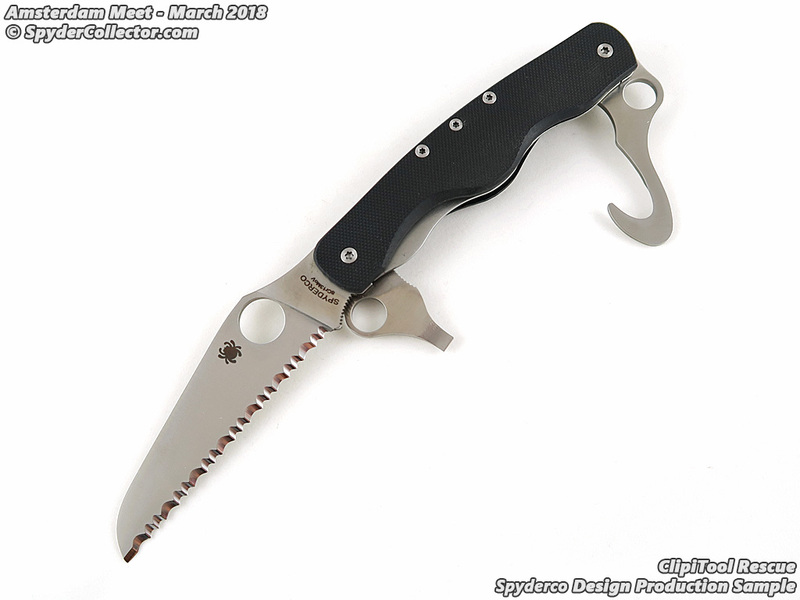 But to have the meets help create a new Spyderco collaboration, now that’s a different type of cool. 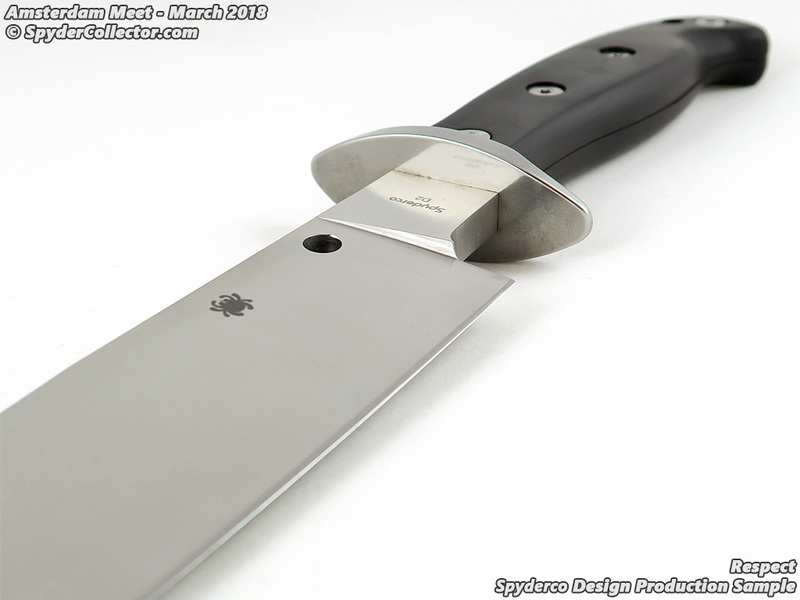 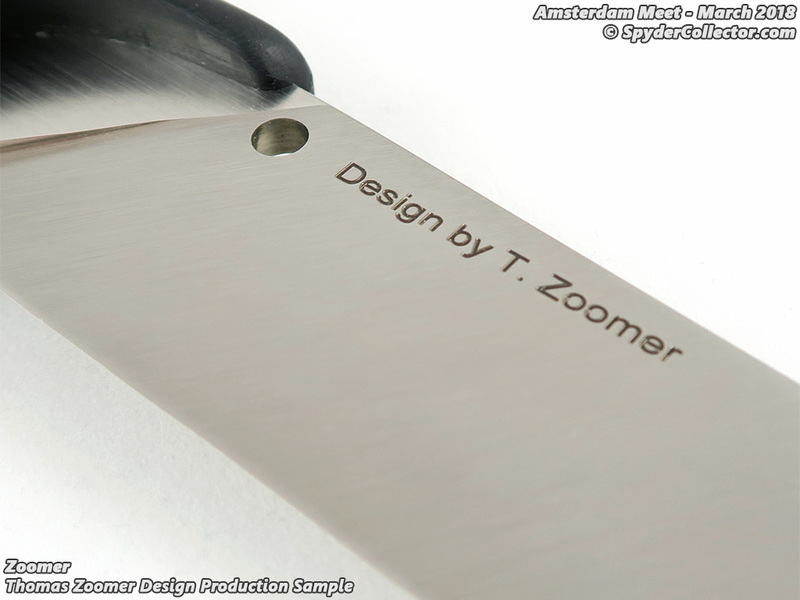 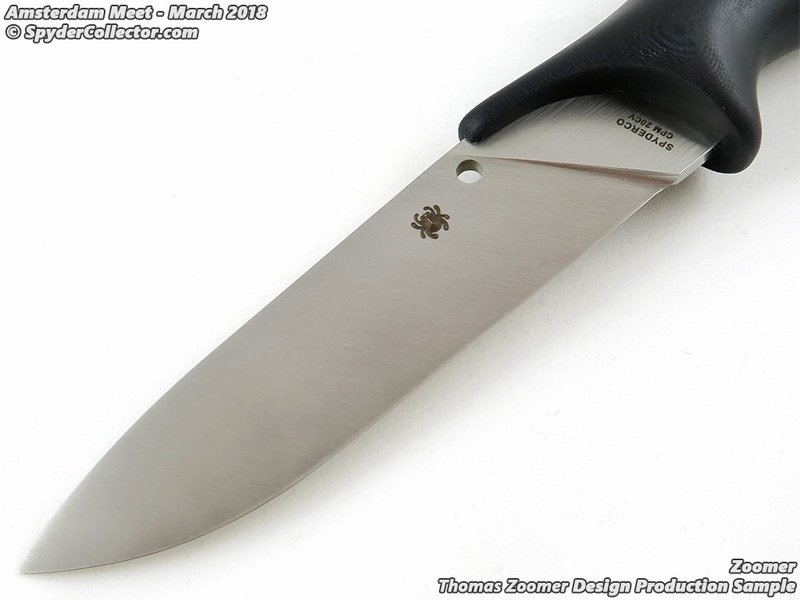 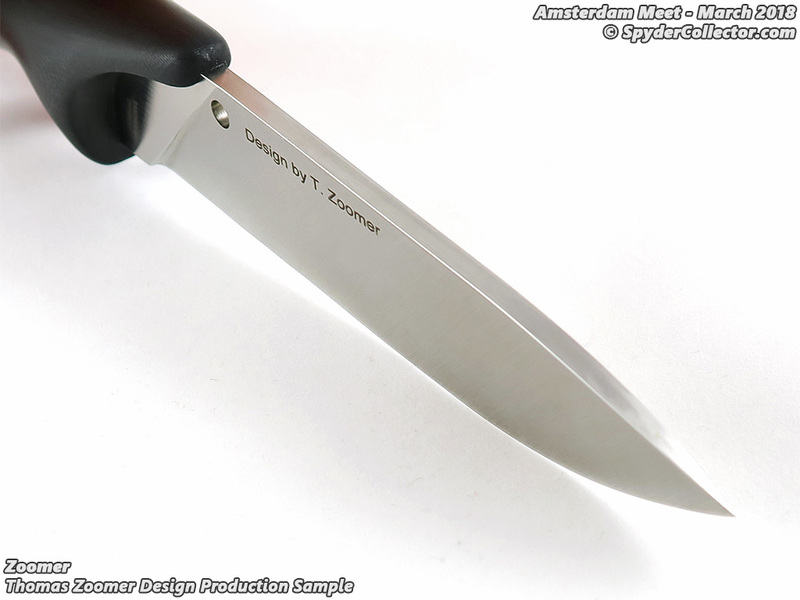 I’m proud to finally show these images of a fellow Dutchman and knife designer, the Zoomer! 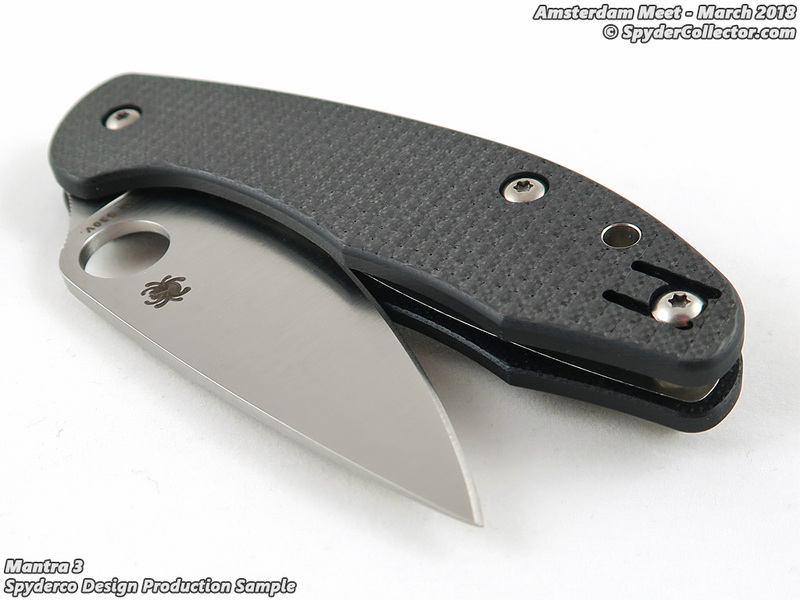 I had to do a double take at the smooth handle, amazing how they can machine G-10 this smooth and this consistently. 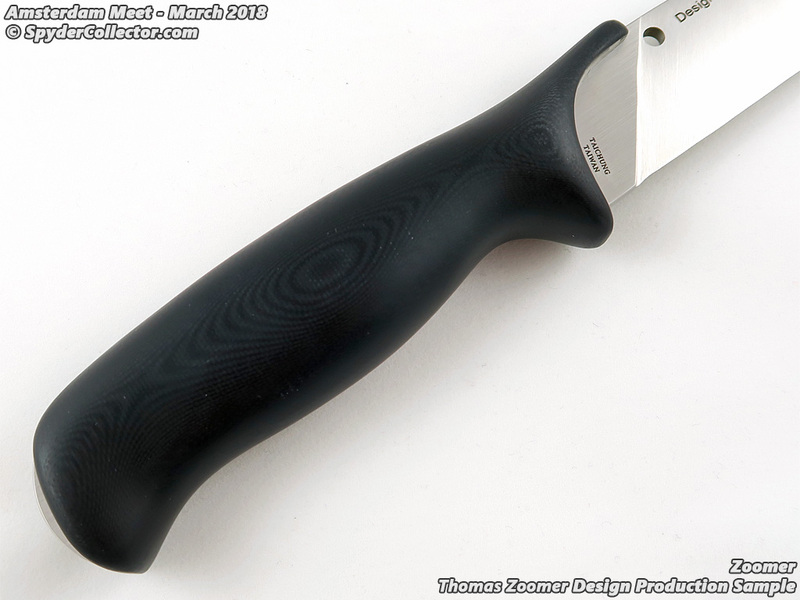 Equally impressive was the hamaguri grind with zero edge though. 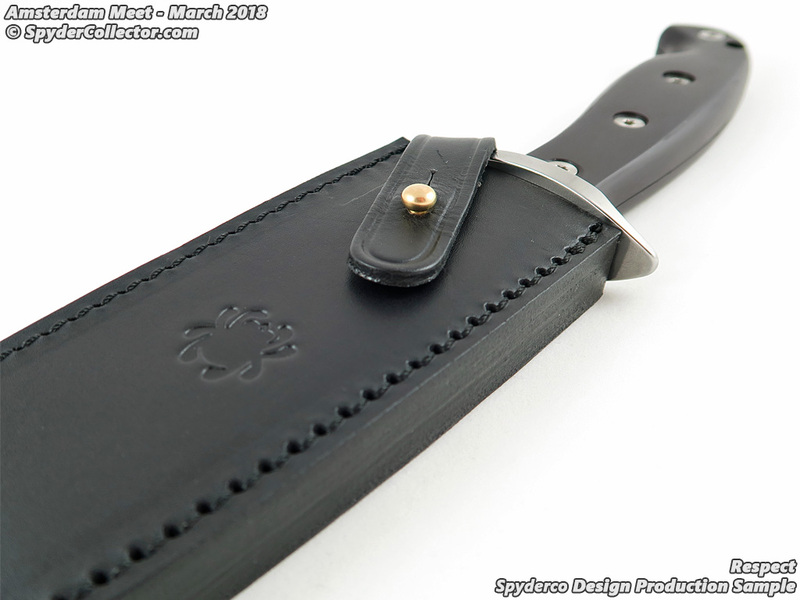 This knife will be shipped with an elaborate sheath with accessory pockets and a dangling loop for carry. 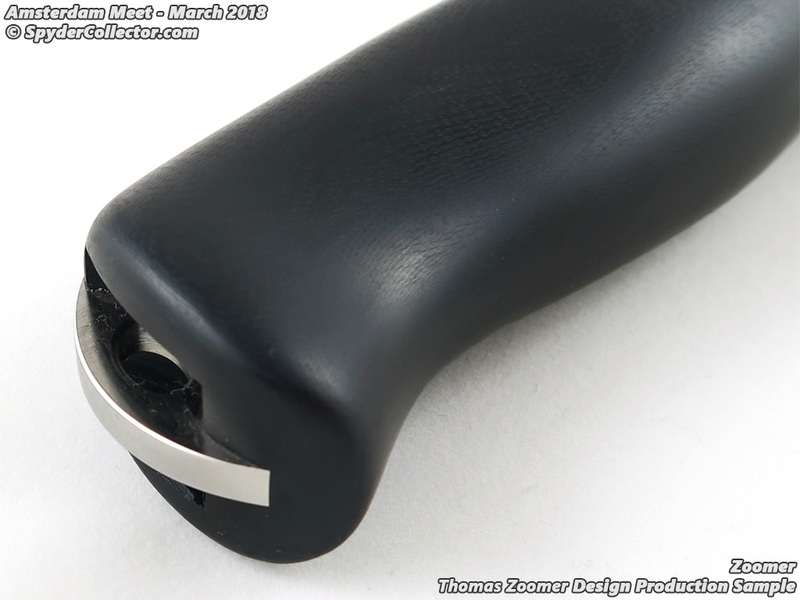 It will be quite the package! 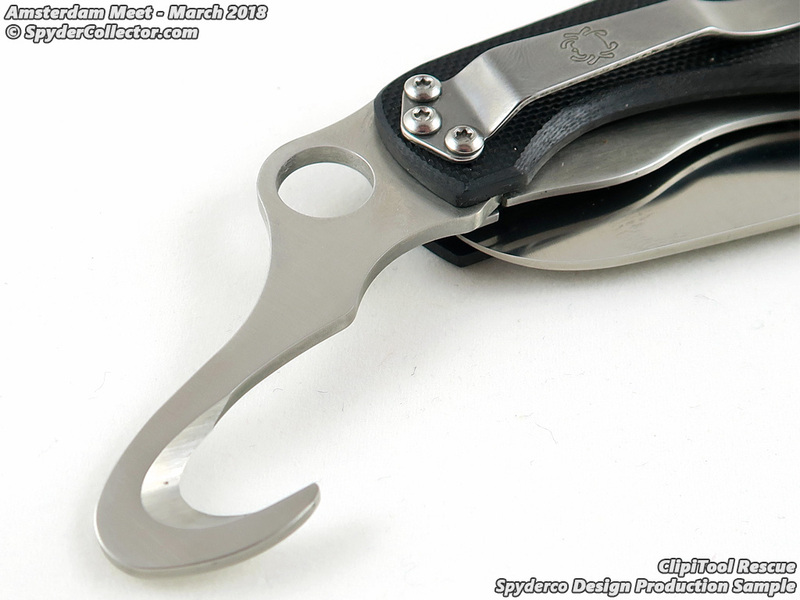 I’ll admit I never really took to the first series of all-steel smaller clipitools. 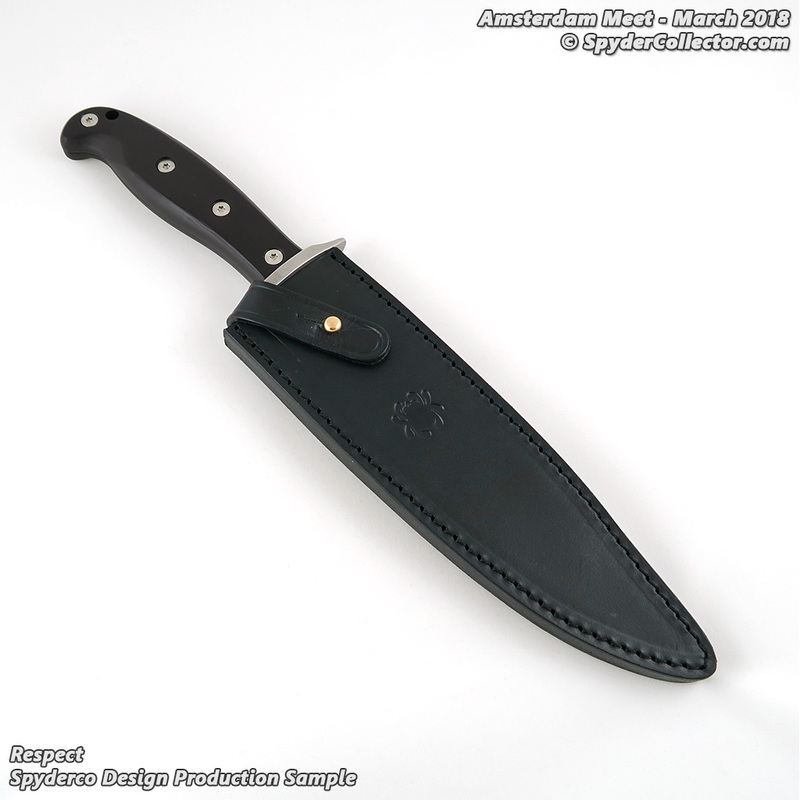 They were heavy for their size and offered few tools. 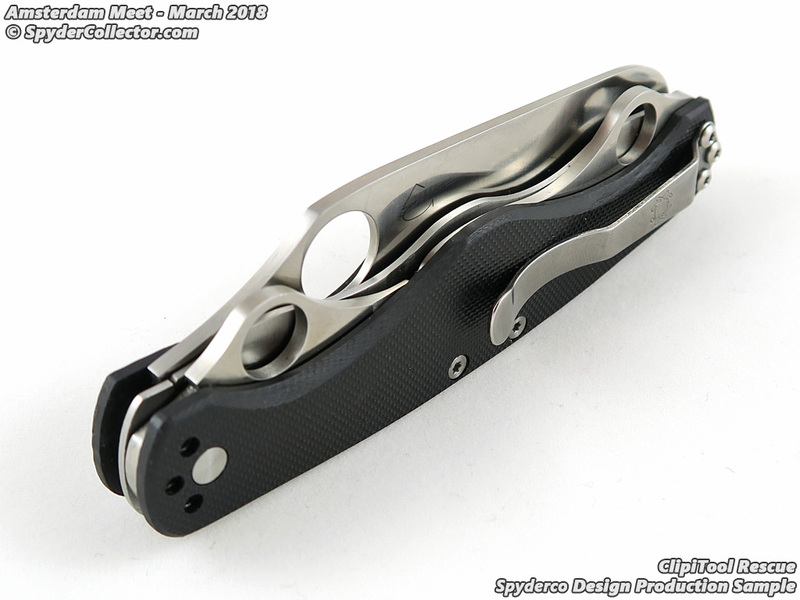 I might have to adjust that opinion for this design. 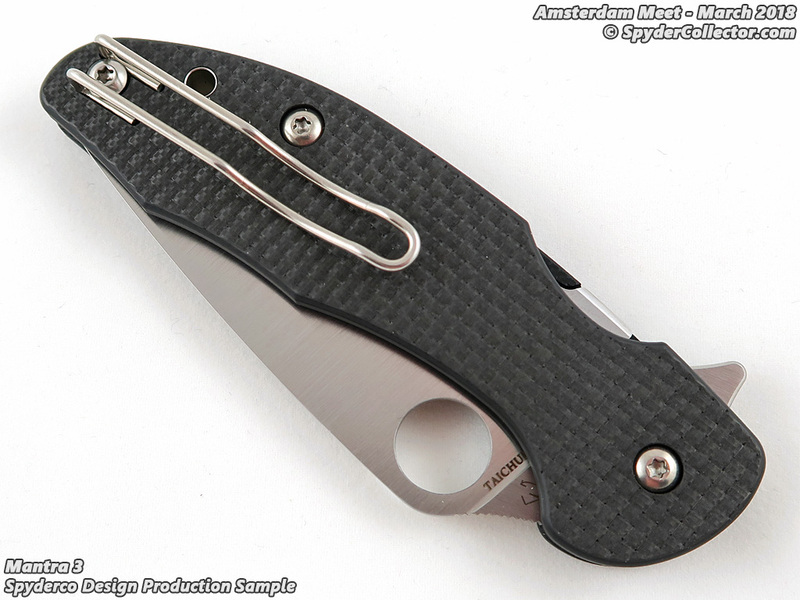 The ClipiTool feels like a regular EDC folder, but it also happens to have a few extra tools to go with it. 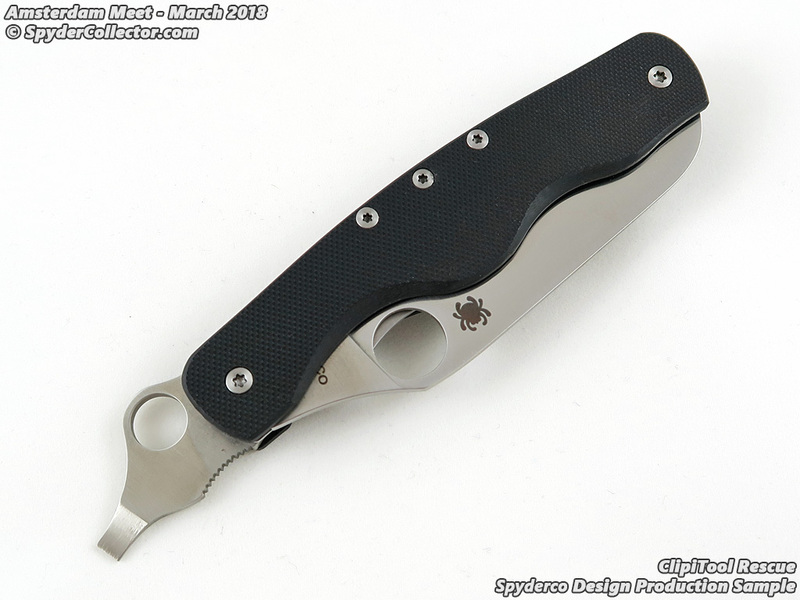 The blade is just like any other Spyderco we like; full flat grind, forefinger choil, proper G-10, properly engaging linerlock etc.. 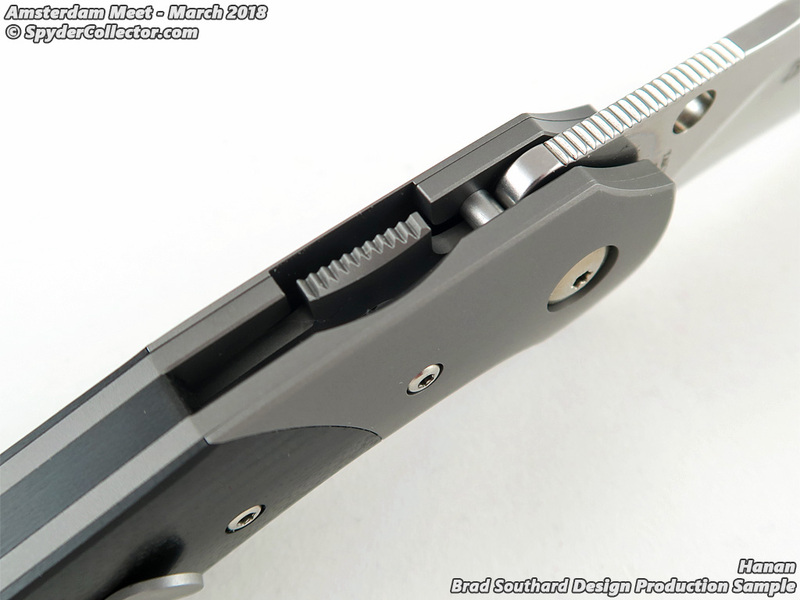 The tools also open one-handed. 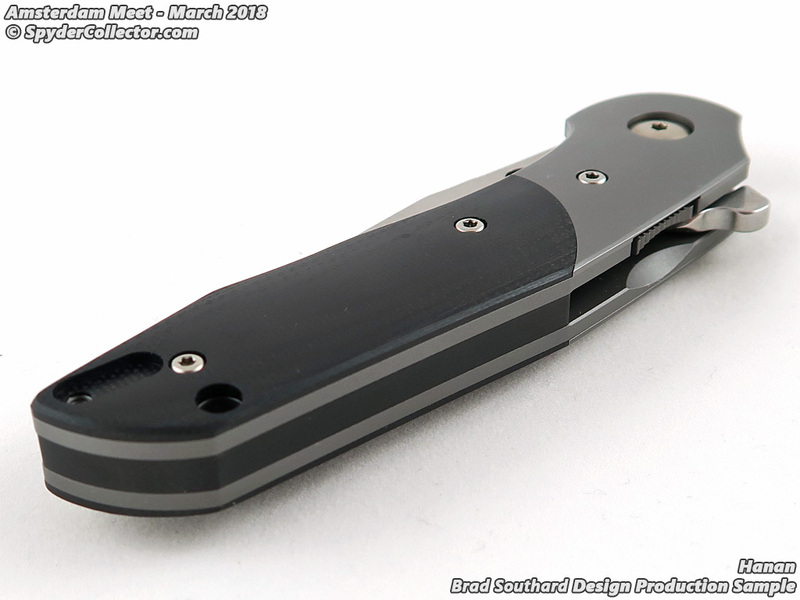 The rescue hook, like the blade, is supported by a linerlock. 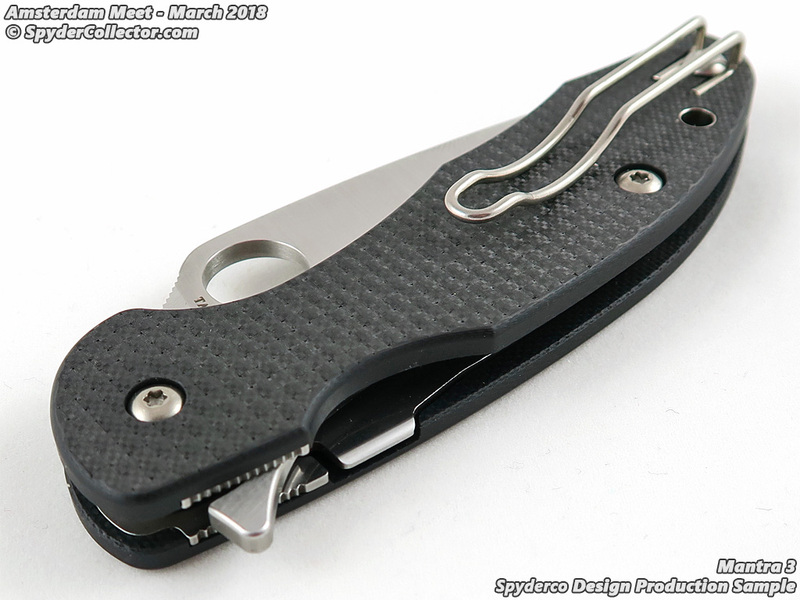 The overall package is very thin, making it more of an EDC knife/tool combo. 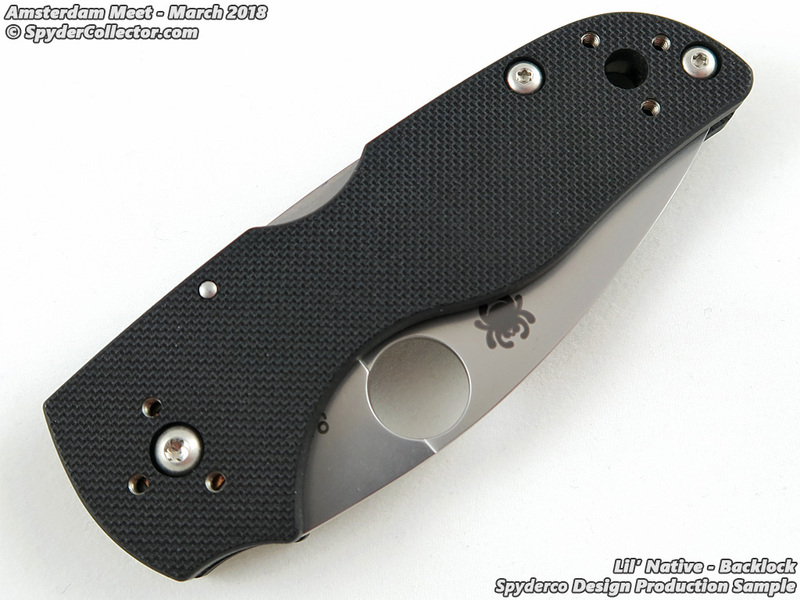 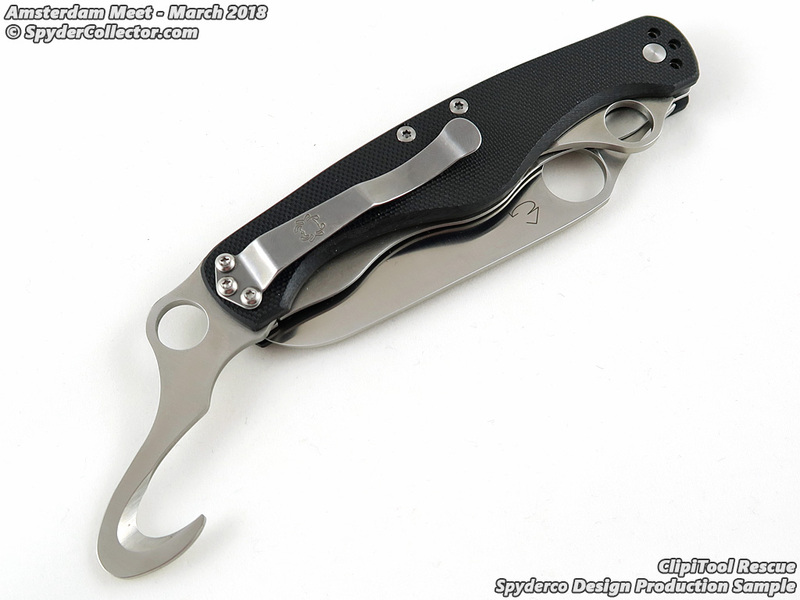 I hope this concept does well for Spyderco, with further development I’m hoping to see lefty-friendly tool/blade opening. 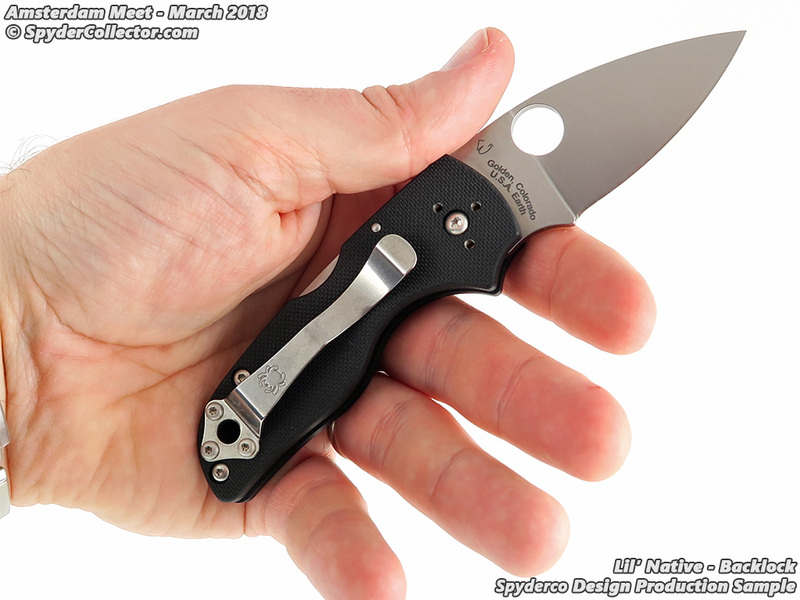 If one thing was hard for me to do after last year’s meet, it was not being able to share photos and info of my favorite design at the 2017 meet. 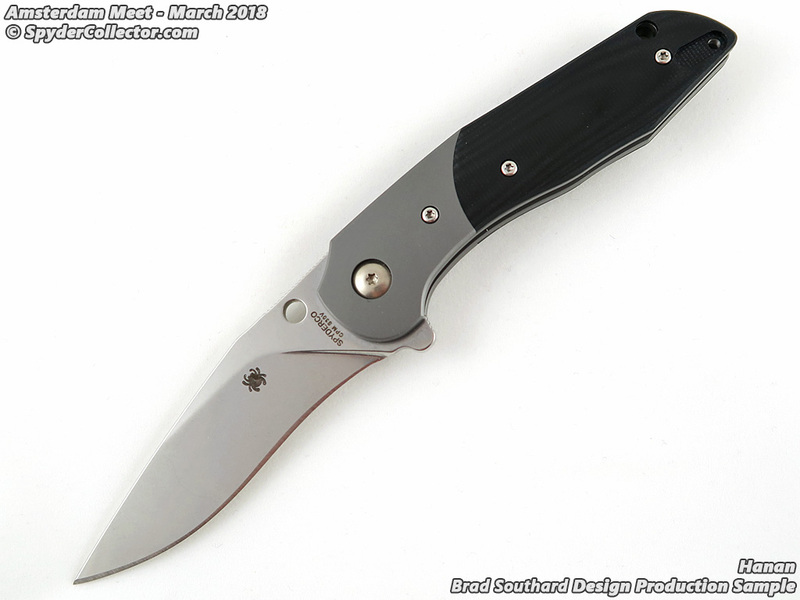 It’s called the Respect now, which is an awesome name for an awesome blade. 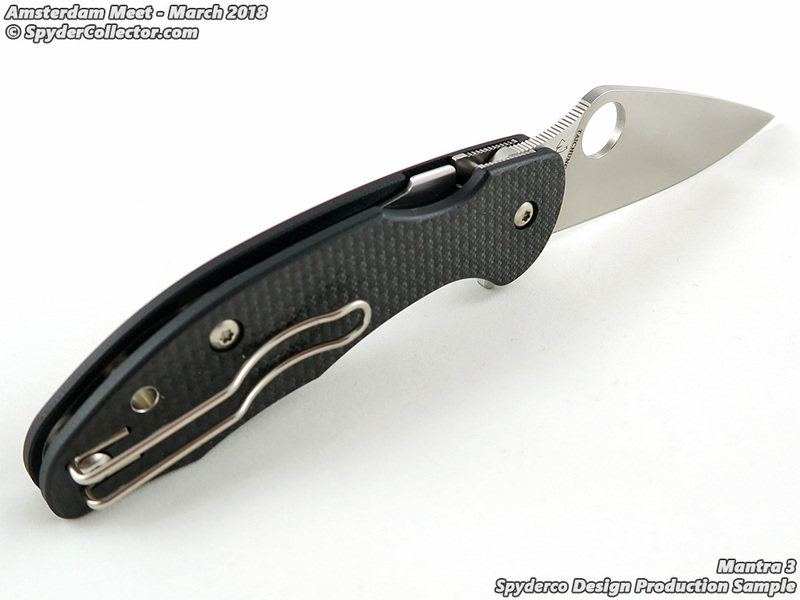 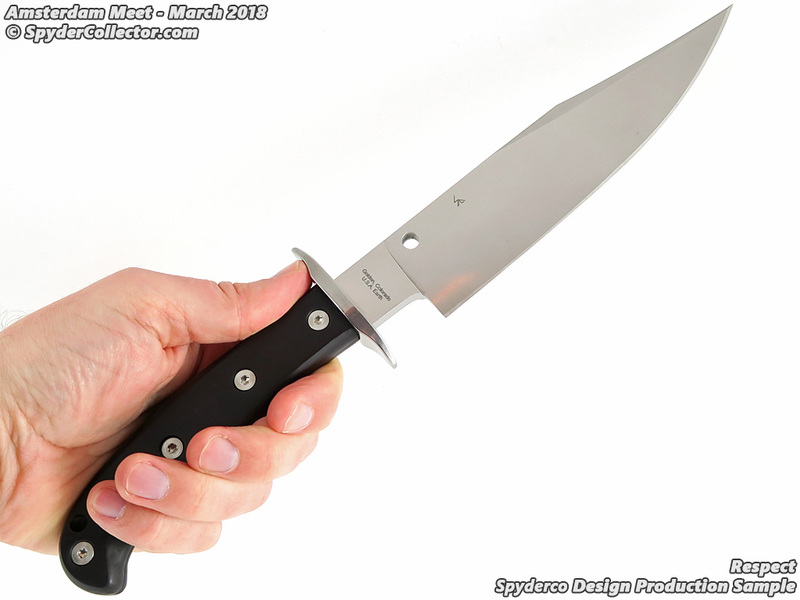 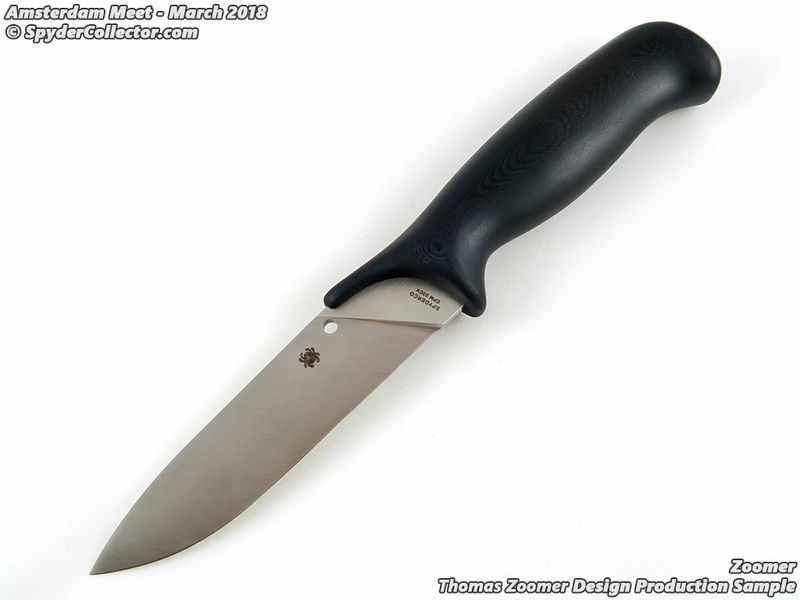 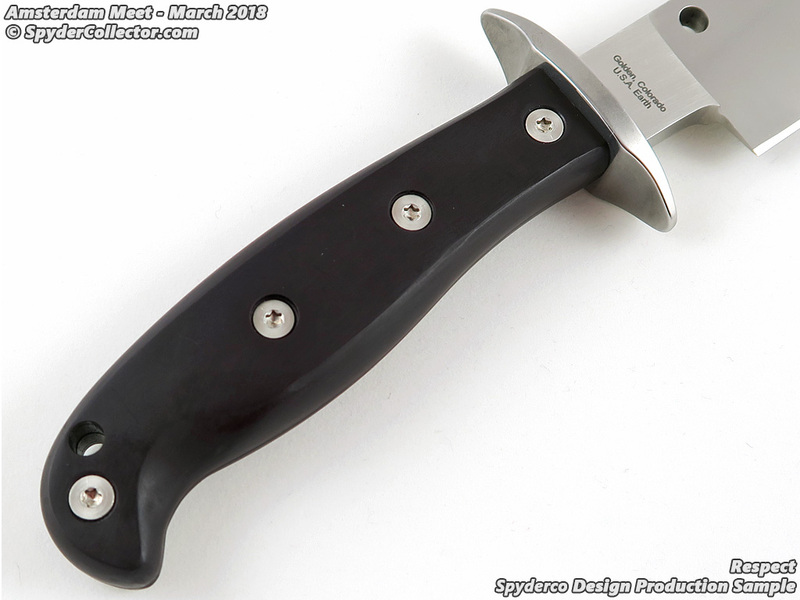 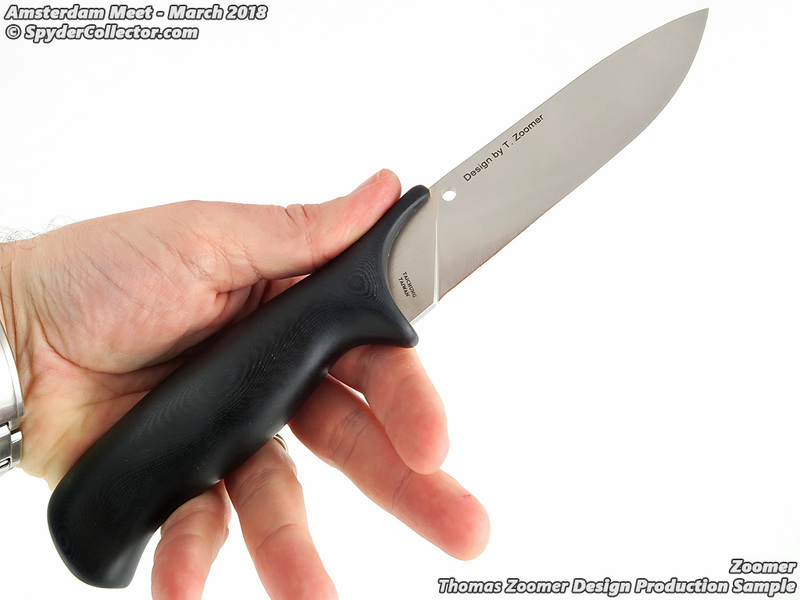 Mind you, this production sample still has a prototyped polymer handle, it will look and function better with the actual contoured G10 handle. 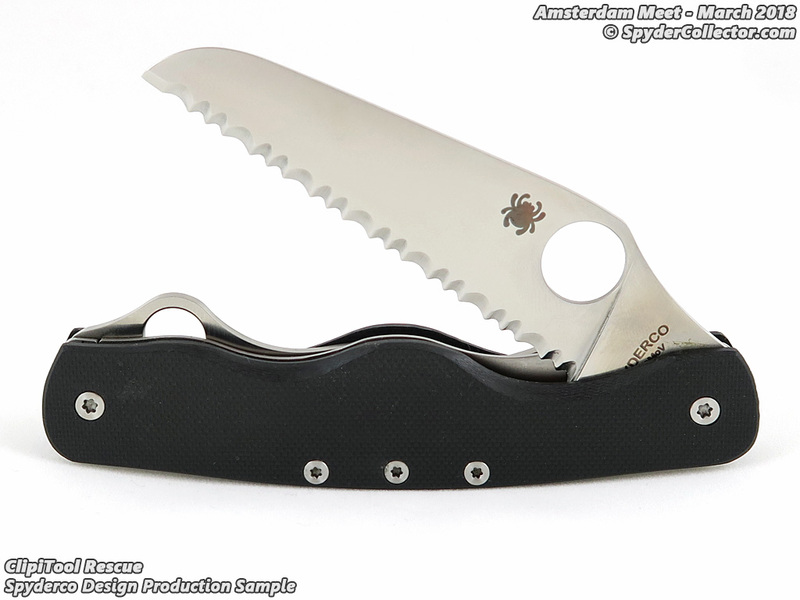 I like the blend of old-school design and new school materials. 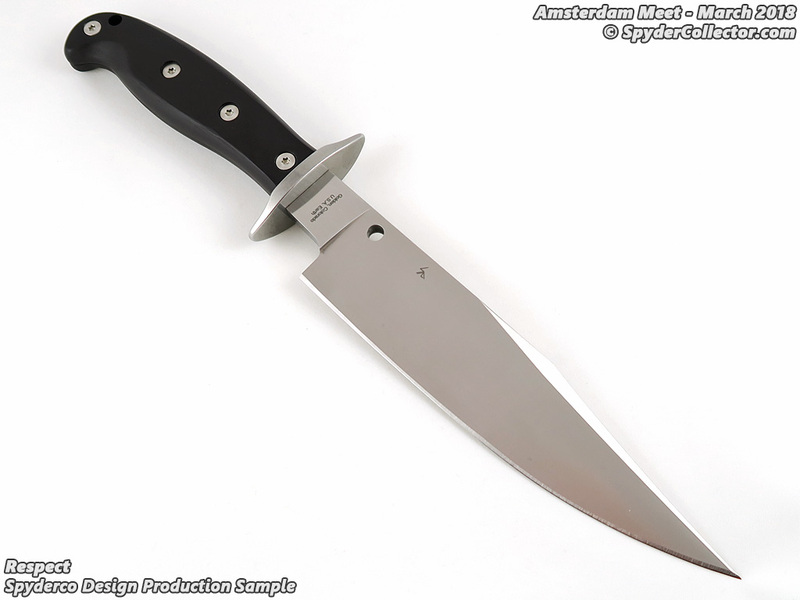 I like bowies for their historical background and visual design. 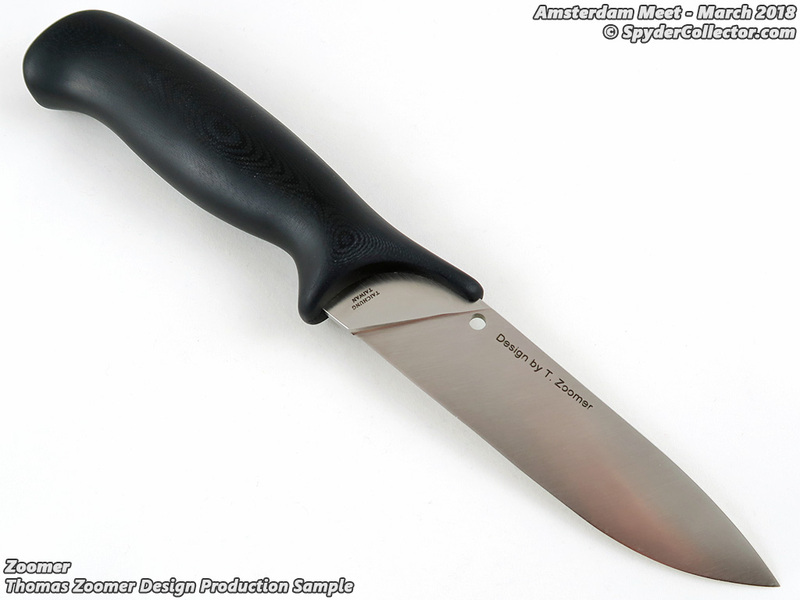 I might just try to attack our pile of cardboard for recycling with this knife though, just to get some actual use out of this knife. 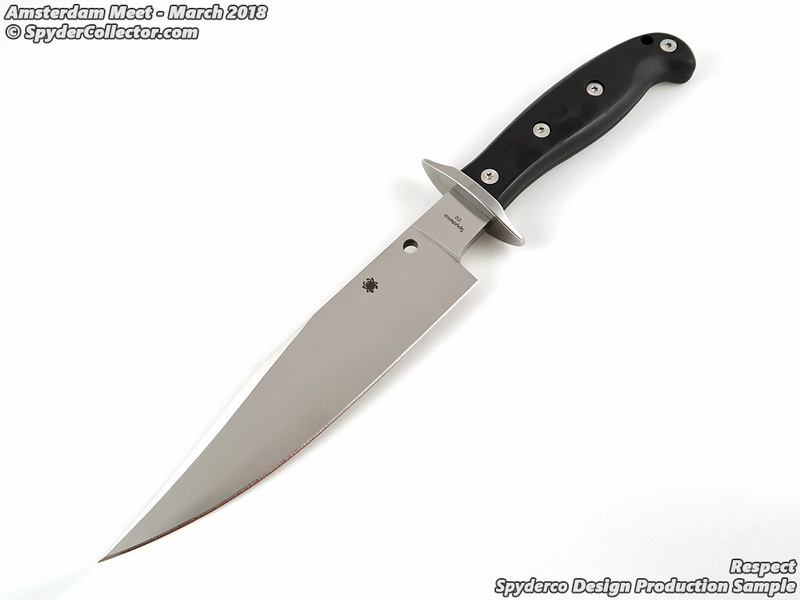 My suburban environment and lack of bushcrafting hobby doesn’t really demand a knife like this. 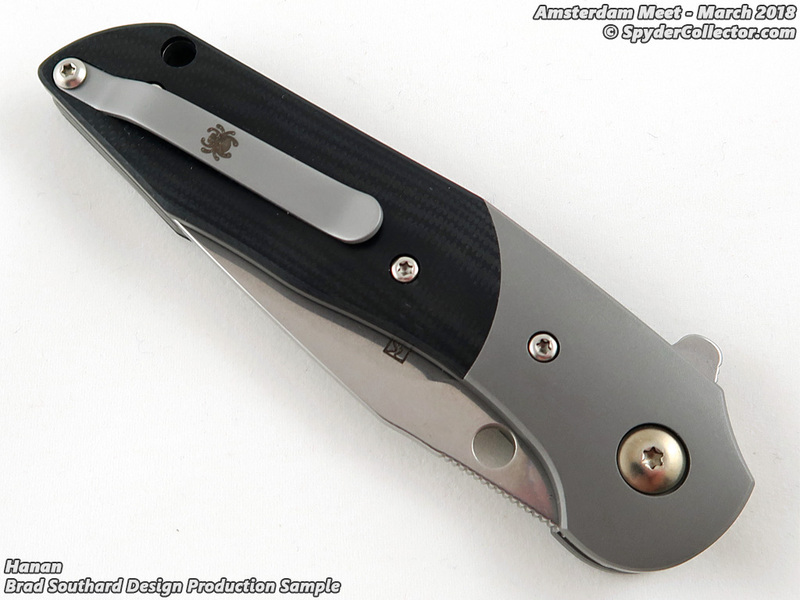 But still, I will get me some respect for sure! 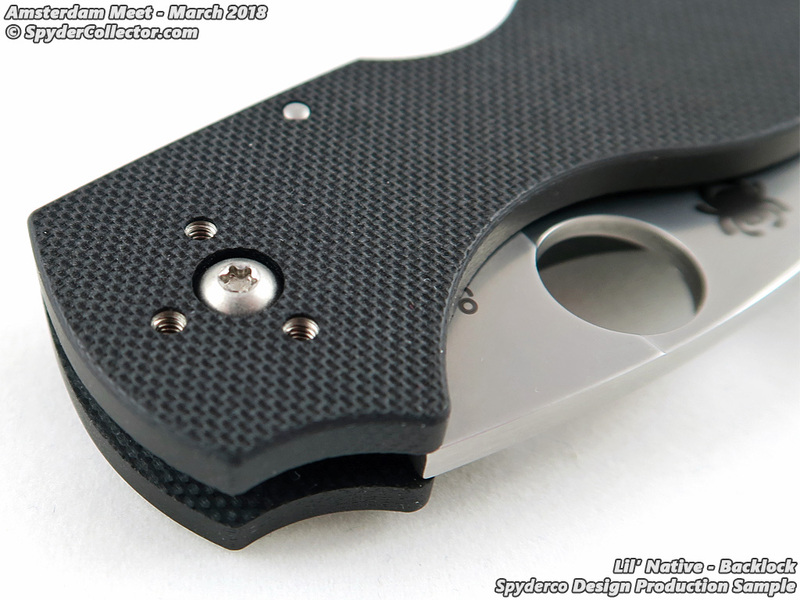 The Mantra 3 is making my Delica collection look a bit worried. 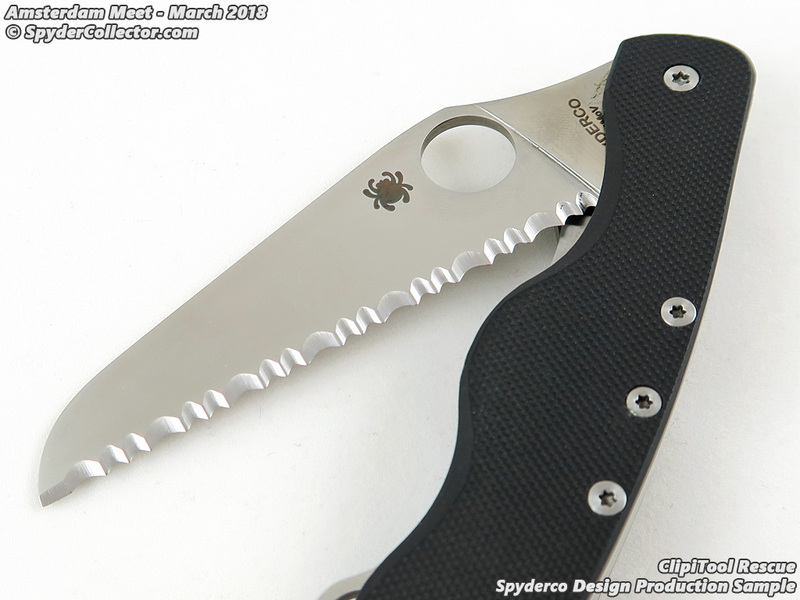 The overall profile is very similar to my beloved Delica designs. 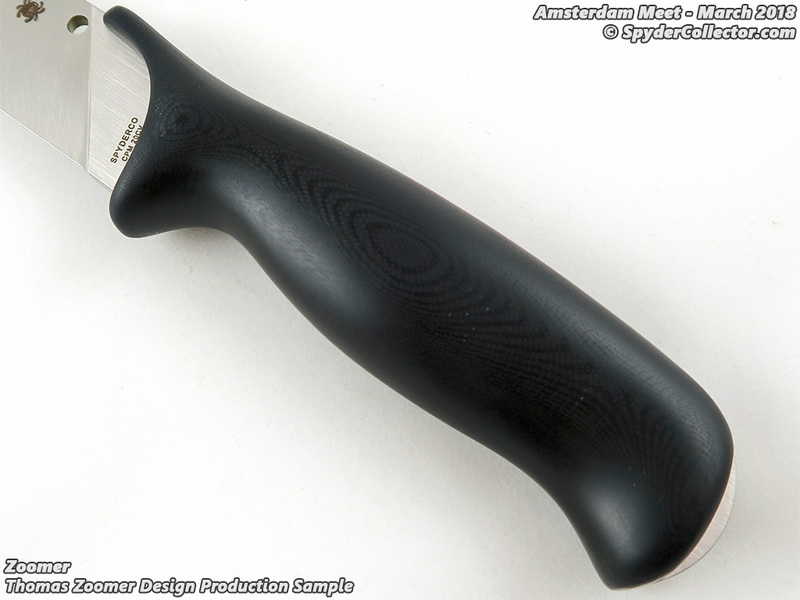 There are, however, many differences – the materials, flipper action just to name a few. 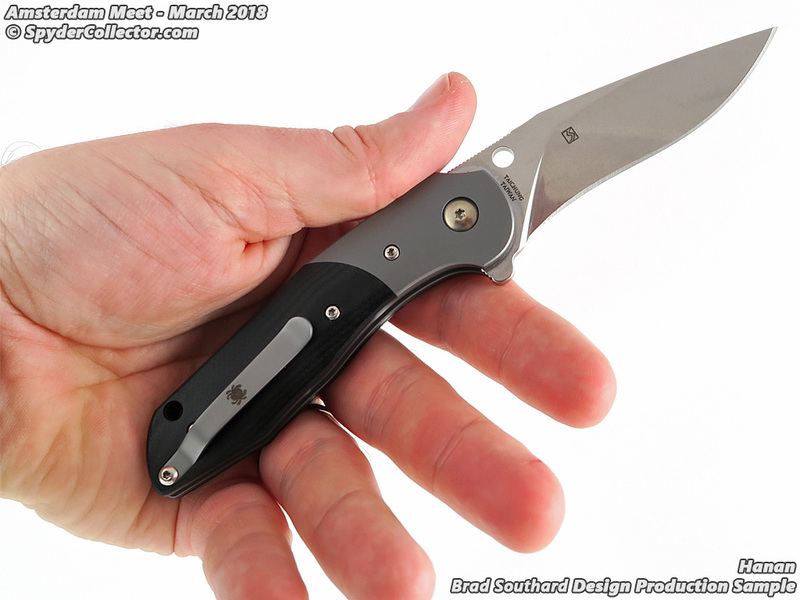 Customer feedback on the Mantra 1 and 2 apparently was that many customers didn’t like the Ti handle scratching easily, or the ‘staining’ M4 steel blade. 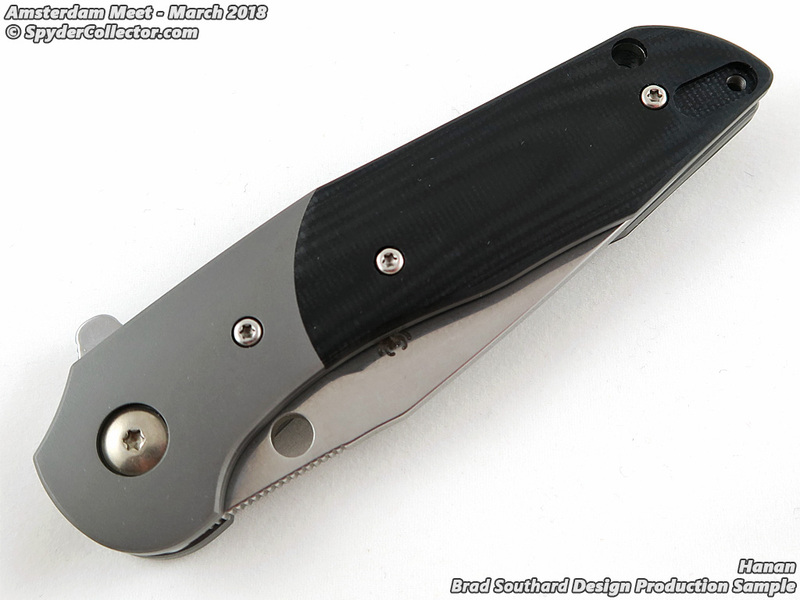 This, as well as CQI on the flipper/ball bearing system, has resulted in the Mantra 3. 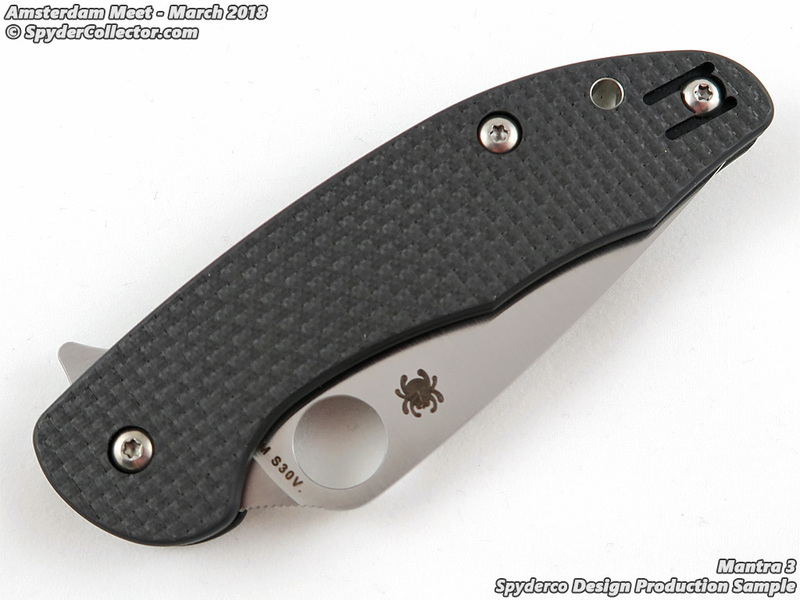 A cool option for those who want something more upscale than a Delica, but still in the same size and weight range. 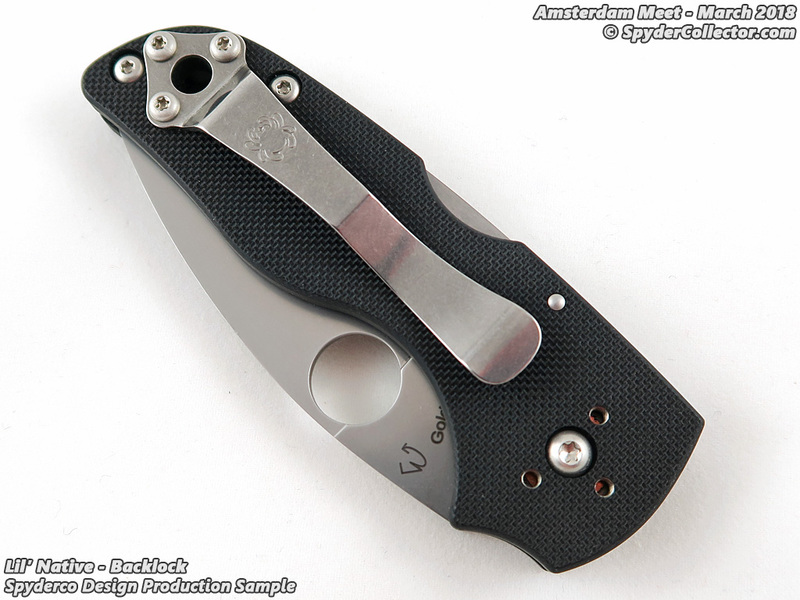 I got a chance to handle the Lil’ Native with a compression lock at SHOT and last year’s Amsterdam Meet. 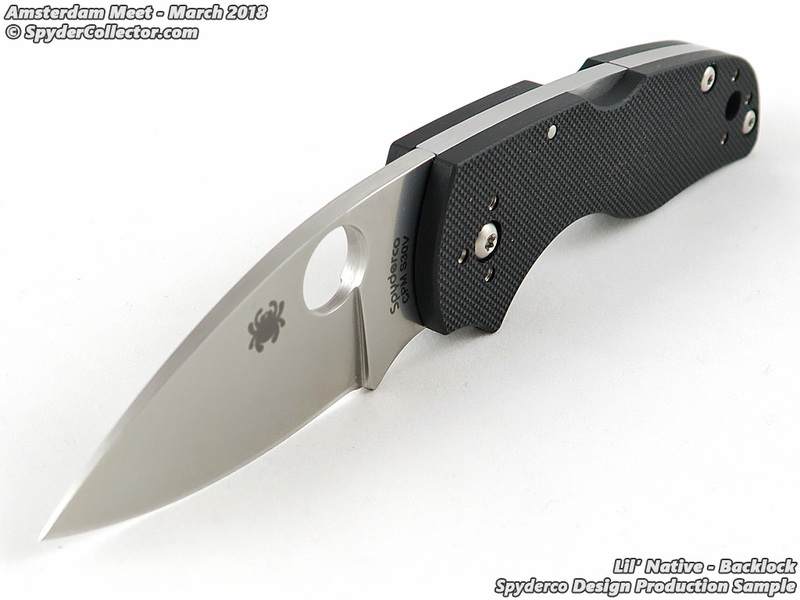 And although it’s an impressively cool translation of the Native design, I mean it actually felt like handling a dragongly sized Native, it still wasn’t quite what I liked. 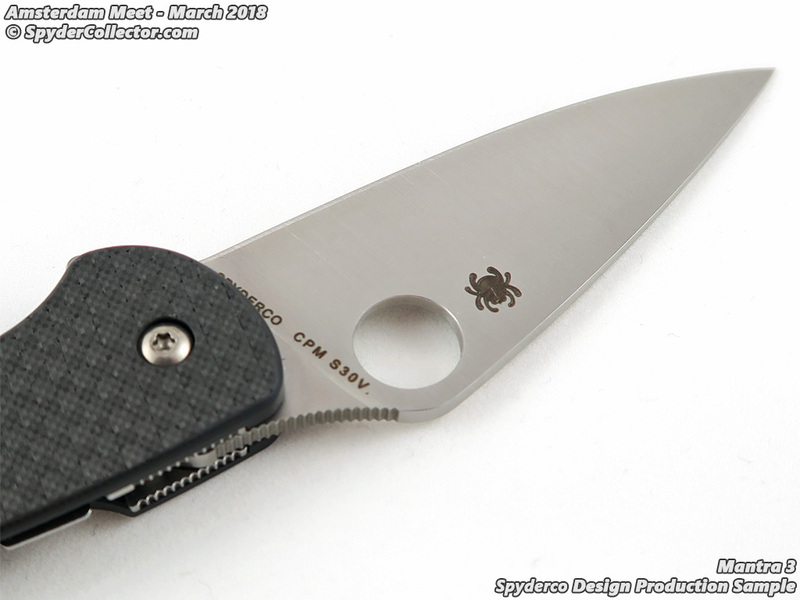 After collecting and using Spyderco’s for almost 20 years, a Native kind of ‘has to have a backlock’. 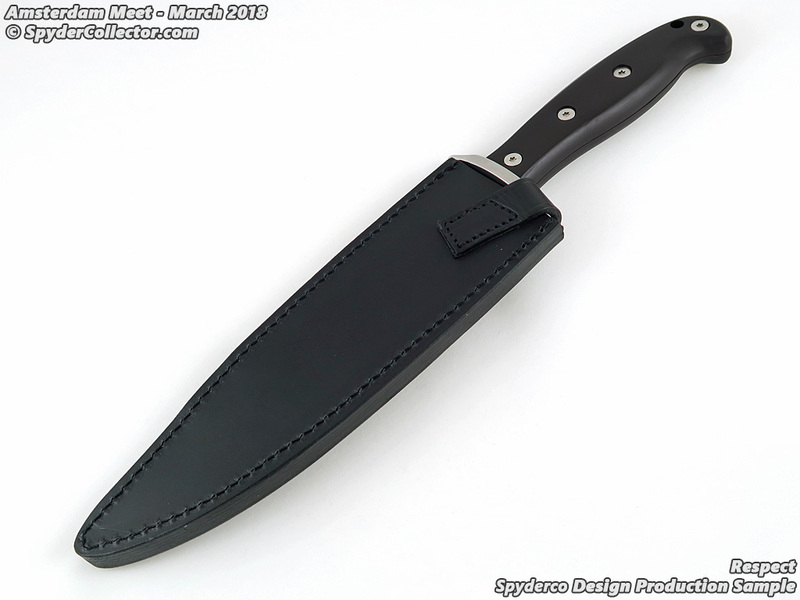 I can’t give a rational explanation. 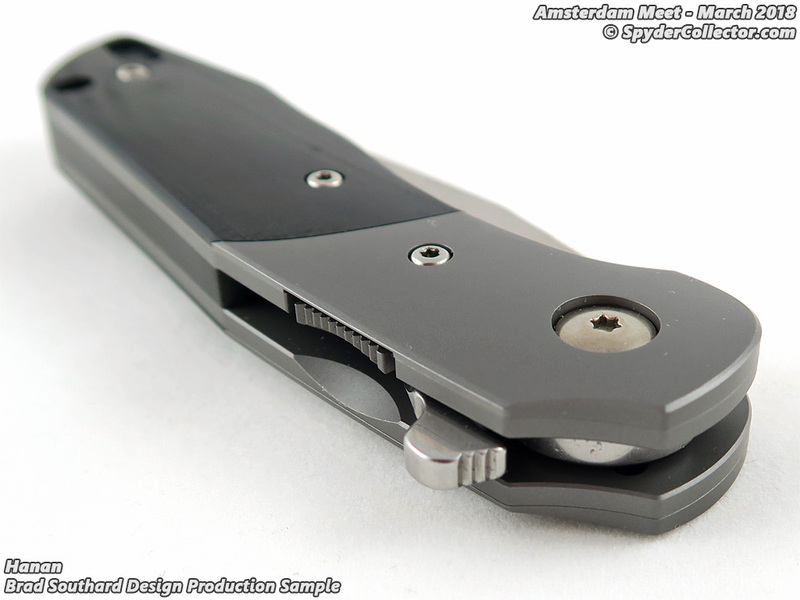 You all have fun with those compression lock lil’ Natives, this backlock version will be mine. 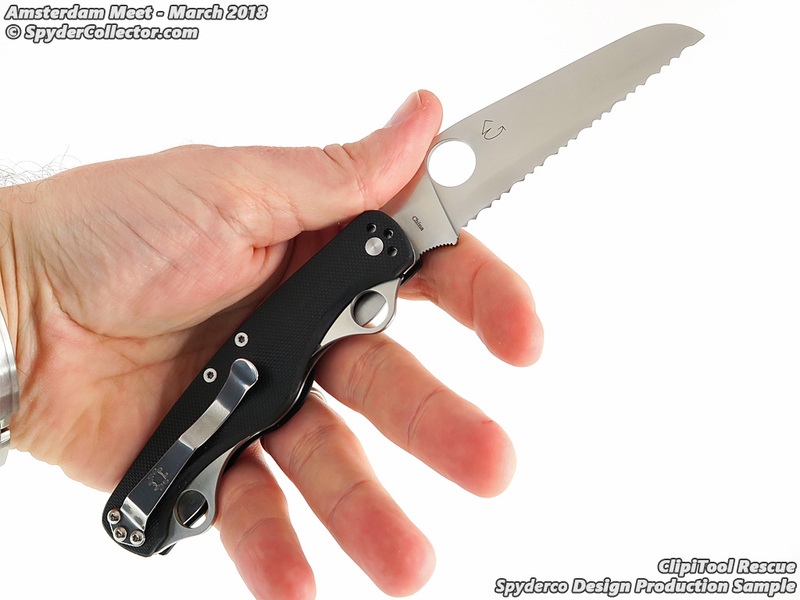 The Hanan was shown last year and I can’t really recognize many differences from before. 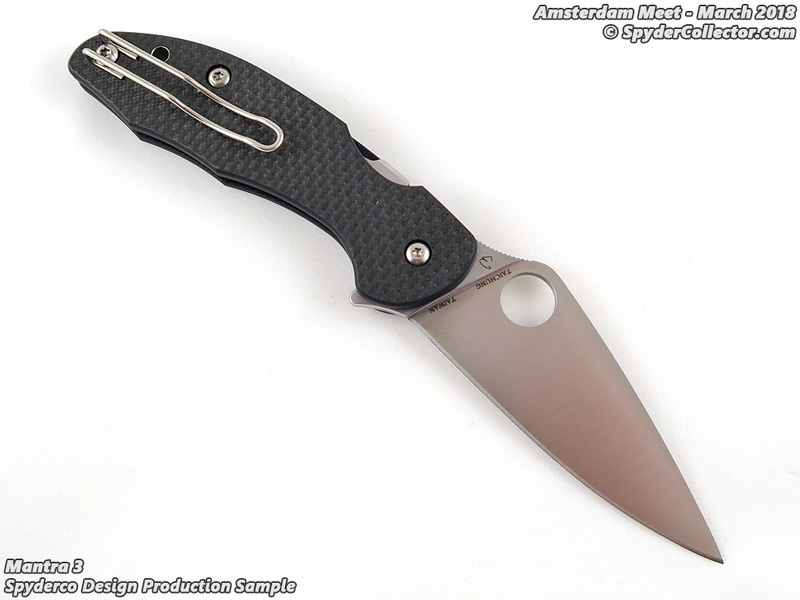 However, Eric pointed out the CQI to the pivot. 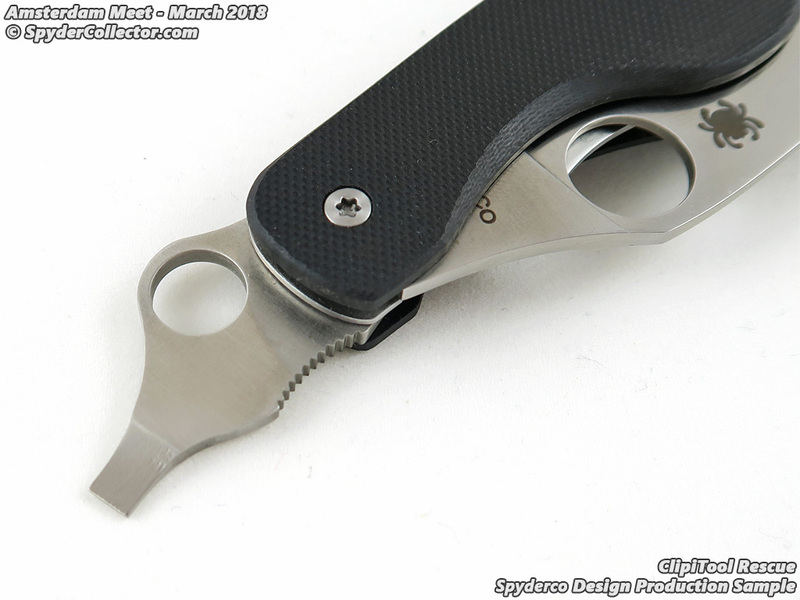 If you look inside you see phosphor bronze washers, indicating the new ball bearing system that uses bigger balls and slightly thicker steel rings. 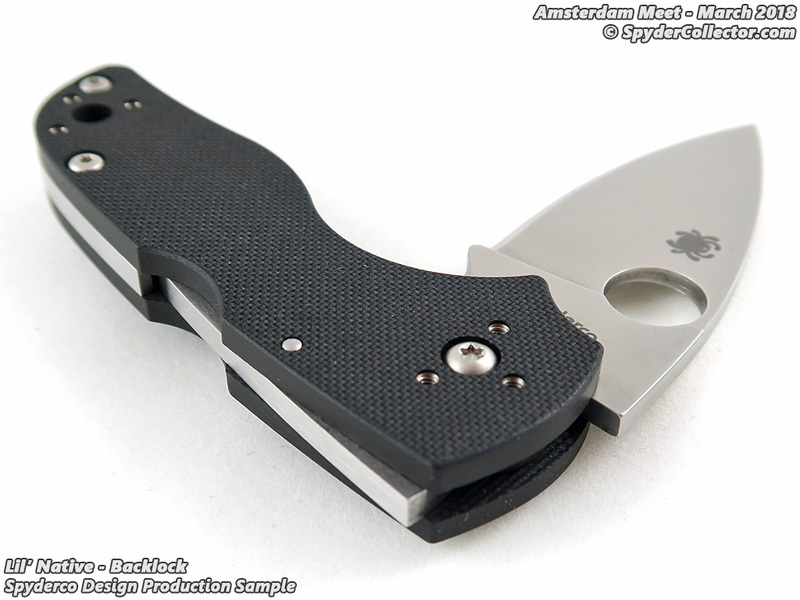 It certainly flips like a champ. 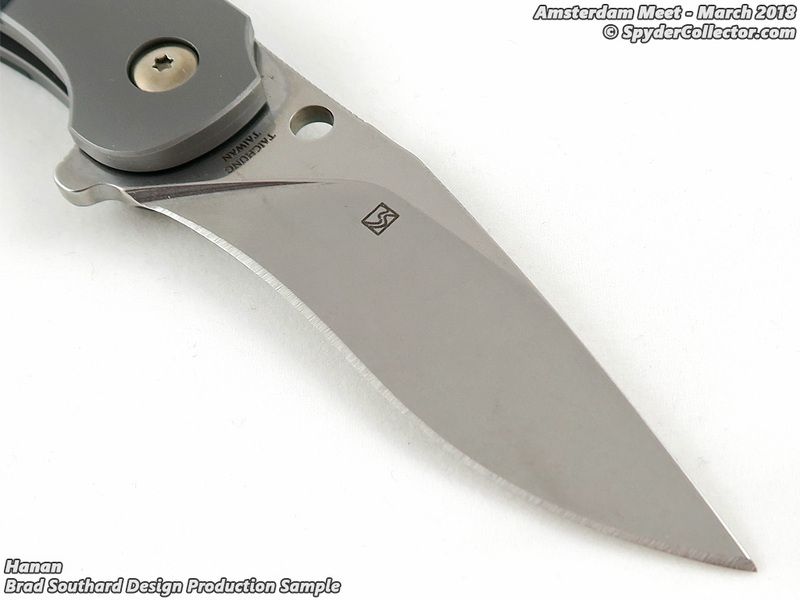 The design reminds me of the Positron, but the Hanan seems a bit more ‘dressed-up’ with that bolster and curvy blade.